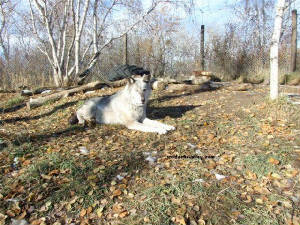 The photo above at Alaska one, is of a wild Alaskan Tundra wolf. Which of course cannot be *verified* this is actually canis lupus tundrarum, and not canis lupus pambasileus or a mixed combination, as natural crossover and mixing can occur. 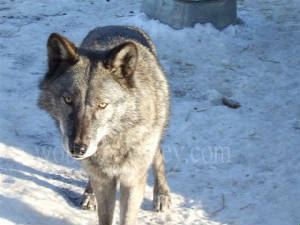 It is the photo of a wolf in the Tundra, thus assumed to be an Alaskan Tundra. If you go to Lion Crushers site and scroll down to subspecies, and click on canis lupus tundrarum and canis lupus pambasileus, both animals look eerily similar. 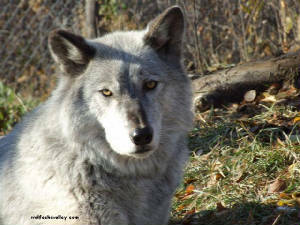 The facts are, wolves in captivity have not been DNA tested throughout various facilities, and only have/rely on what paperwork/records there are to tell them what the animals may be. 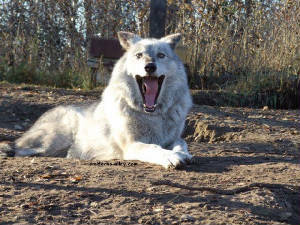 I would love to see DNA testing implemented in captive wolf programs, I believe there would be a lot of revelations. Eclipse Moon Songs relatives came out of Alaska, and classified as C. lupus tundrarum, (without dna testing this is not conclusive since there seems to be overlapping of subspecies in the Alaskan Regions of sub-species. She could be Alaskan Interior (C. lupus pambasileus) or a combination. 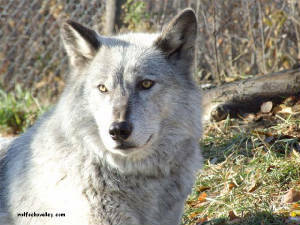 The problem with many captive born wolves, is that some wolves' relatives found in certain regions generations ago, were automatically classified as a certain subspecies by captive facilities without dna testing, however, this can lead to false assumptions. 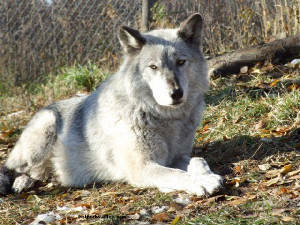 Another issue is that due to the classification of sub-species of captive wolves being subject to err, unless DNA testing is performed and verified, many wolves that reside in captivity have been crossed with other sub-species, thus essentially you have a lot of NON pure strain of such. Born solid black, Eclipse has phased more into an amazing bluish salt and pepper tone. (black phase of coloration) She is very sweet, but quirky, she loves to play and enjoys her outings with me. Eclipse loves play time and is quite mischievous...she thinks that humans were made to give her attention and loves to hog the limelight. 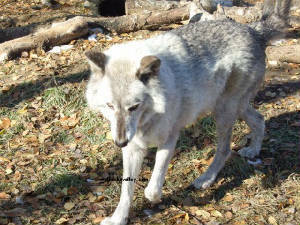 Sometimes Eclipse reminds me of a coyote the way she plays and moves. Shy at first with men, if anyone meets her one on one *not in a group setting* she quickly befriends those whom have the patience and time. You just may get a playful kiss in reward. Arctic Alaska is the area of the state north of the Arctic Circle, which encompasses three distinct regions: the arctic coastal plain, the Brooks Range, and the boreal forest with numerous lakes, rivers, and streams. 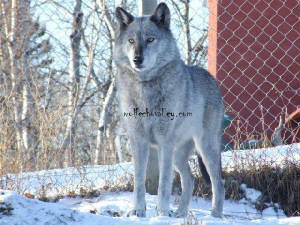 Wolves collected in northeastern Alaska are assigned to this form on the basis of locality. 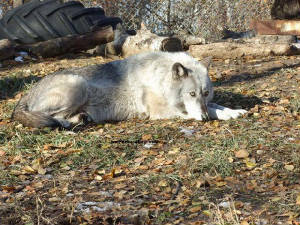 This is hardly satisfactory, but the study of available material has thrown some doubt on the validity of Alaskan subspecies of wolves as at present defined. It was evident, in comparing specimens of a large collection of wolf skulls, that considerable individual variation occurs. 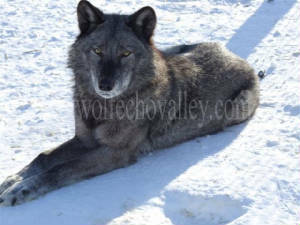 One wolf was collected1 near Lake Schrader and 4 specimens were obtained from the Indians at IArctic Village. During May 1952 I was able to collect an adult male a few miles south of Point Barrow-approximately at the type locality of C. .lupus tundrarum In addition, a large series of skulls, with full collecting data, is at hand from the central Brooks Range. From this region about 150 wolves have been autopsied, but it has not been possible to preserve all of them for mammalogical studies. Skull measurements for 48 wolves are given in Table 111. Most of these are arctic specimens, but a few others have been included for comparative purposes. Age designations are given as accurately as possible. The age of young animals was computed by assuming a birth date of May 15. The date ON THE STATUS OF SOME ARCTIC MAMMALS of killing was known for all specimens. Comparisons of the skulls of young animals were also made with the skull of a captive male wolf which was five months old at the time of death (assuming the May 15 birth date). Material from which C. lupus tundraumwas *characterized (Miller, 1912) comprised specimens from widely separated localities. Young and Goldman (1944) summarized available data on North American wolves. Goldman prepared the taxonomic section, and had for study only 9 skulls of C. lupus tundrarum;of these, 5 were topotypes. Anderson (1943) studied 6 topotype specimens. and grayer, the white less mixed with brown or buff on head, and back more sparingly overlaid with black; skull with heavier dentition. Similar also to occidentalis and mackenzii of Mackenzie in size, but color darker, the general dorsal area more extensively mixed with black, and the tendency toward pure white less evident than in occidentalis; dentition heavier.” (p. 417). very light, relatively small teeth, while a few have a dentition more massive than average. I doubt that colour in Alaskan wolves has any taxonomic significance. There is a wide range in colour, from nearly white to almost black, but animals of either extreme and all intermediate colours may occur in any given region. Some wolves appear white from a distance, but all that I have seen close at hand have had some black-tipped hairs dorsally. The most nearly white specimen that I ‘have seen, an adult male trapped by Eskimo near Anak- tuvuk Pass, has been deposited in the collections of the US. National Museum (No. 294404). 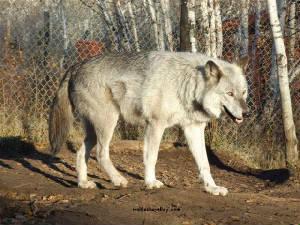 C. lupus tundrarum is “said to be frequently white or whitish.” It is likely, however, that he had some white specimens from the Canadian Arctic among the material he studied. Young and Goldman (1944) differentiated C. lupus tundrarum from C.lupus occidentalis Richardson and C.lupus mackenzii Anderson essentially on the basis of colour. Restudy of the various subspecies of wolves seems necessary to determine whether the existence of so many named forms is justified. A series of each large enough to demonstrate normal individual variation is required. I doubt that C. lupus tundrarum can be differentiated from C.lupus pambasileus. The validity of C.lupus alces is also open to question. 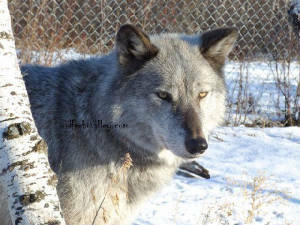 Wolves are very rare on the Kenai Peninsula, and it might be expected that animals from farther north move into this region from time to time. 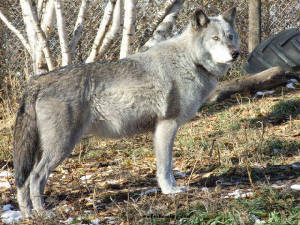 In any event, clear-cut ranges cannot be established for subspecies of a mammal as capable of movement over great distances as is the wolf. In order to obtain adequate material from Alaska and northern Canada it will be necessary to enlist the aid of local trappers. 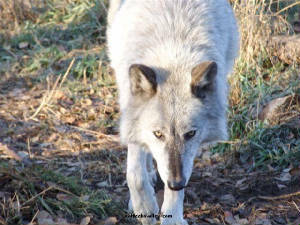 It is particularly regrettable that the great numbers of wolves killed by the predator-control activities of the US. Fish and Wildlife Service in Alaska are not being utilized for scientific purposes. control activities, they killed none afterward. 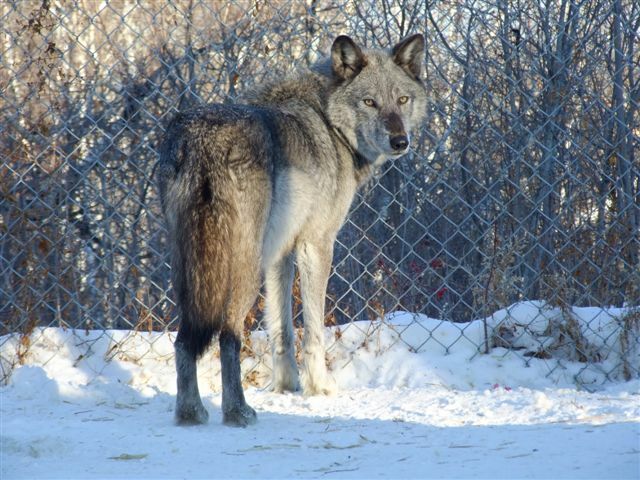 Wolves are known to fluctuate greatly in numbers in arctic Alaska (see Rausch, 195l), and it seems questionable whether the high cost of wolf destruction would make a control program practicable even if it were considered biologically sound. It is of interest to the biologist that large numbers of ground squirrels, at least one grizzly, some caribou, and at least 9 sledge dogs succumbed to the effect of strychnine-poisoned baits used for wolf control in the Anaktuvuk Pass region. 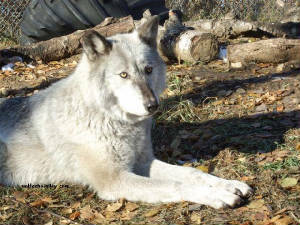 The question comes up whether this type of control might not result in a higher residual population of wolves, since the natural transmission of disease might be minimized in a population of already greatly lessened density. 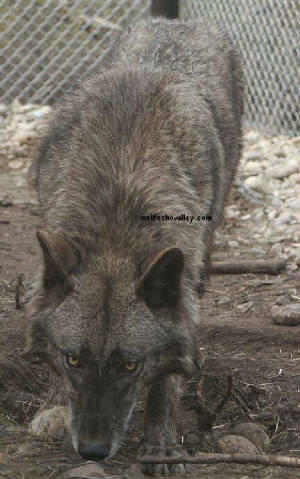 With the great wolf density of 1951-2 epizootic disease broke out which no doubt would have had violent effect on their numbers, had man not intervened with other controls. Rabies appeared among them, as was the case during the last time of high population density in 1944-5 (see Rausch, 1951). This was confirmed by rabies virus recovery1 from the brain of a wolf killed while attacking tethered sledge .dogs in an Eskimo camp. little doubt that the disease was disseminated through the wild canine populations from the coast to the dogs of the Inland Eskimo, and on southward. 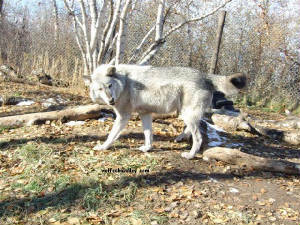 Since the wolves comprised a population highly susceptible to distemper, losses among them could be expected to be heavy.